A little fireworks to start off the weekend before the Fourth of July. 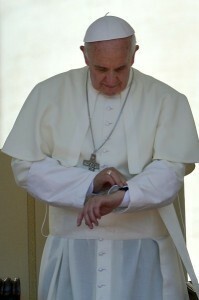 With that PopeWatch will be on hiatus until July 5. Our Pope has been on hiatus for several years now. Happy fourth to you and yours. Be safe. Have fun. Stay out of Hell. Northern Michigan has much more to offer.